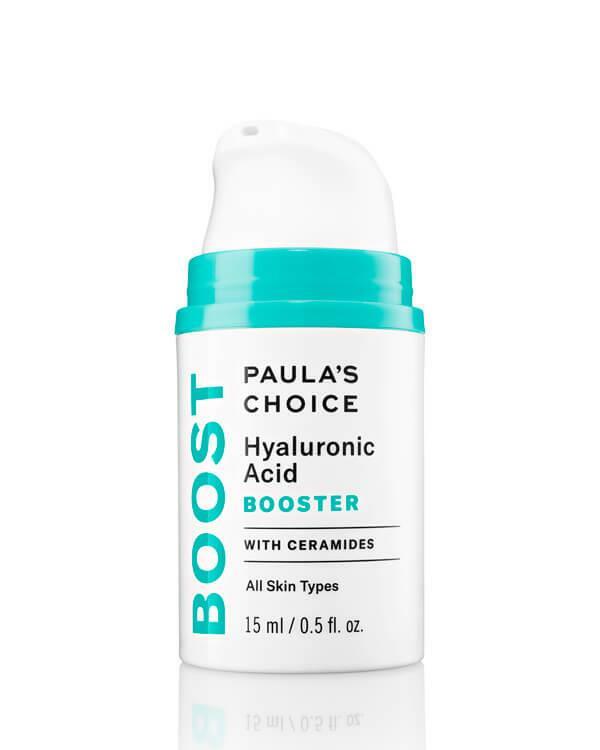 The Hyaluronic Acid Booster from Paula's Choice contains a specialized matrix of skin-smoothing hyaluronic acid, skin-replenishing ceramides, and panthenol that penetrates skin’s surface to help lock in moisture, keeping skin hydrated and ultimately moisturized. 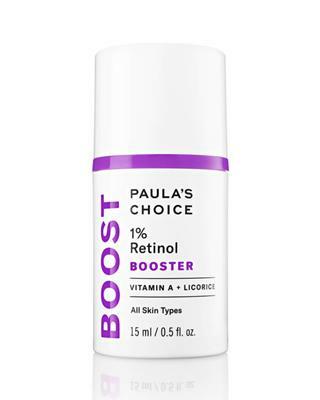 The Hyaluronic Acid Booster visibly plumps skin, smoothing the appearance of fine lines and wrinkles—including fine lines around the eyes. Can be used alone or add a few drops to your favorite moisturizer or serum to see even better results. 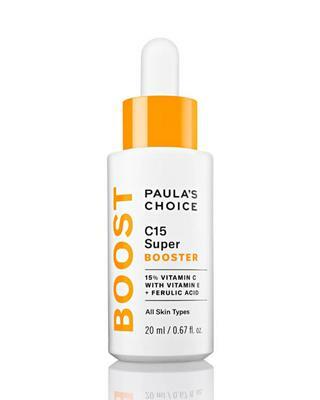 From the first use, you’ll see noticeably smoother, more hydrated, younger-looking skin. Apply once or twice daily after cleansing, toning and exfoliating. 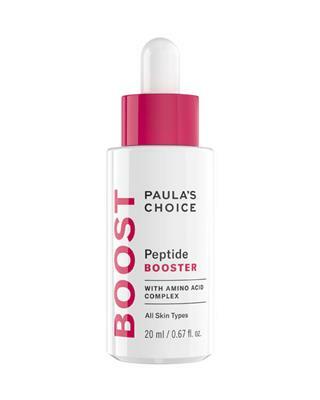 Dispense your desired strength by the number of drops into your favorite moisturizer or serum and apply as usual. For daytime, follow with a broad-spectrum sunscreen rated SPF 25 or greater. May be applied around the under-eye area. Avoid eyelids and lips. 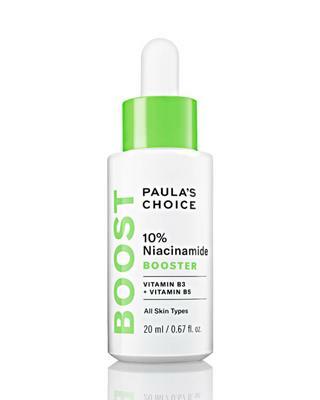 ●One Drop: A mild anytime anti-aging and hydration boost (AM and/or PM). ●●Two Drops: The perfect moderate-strength PM treatment. ●●●Three Drops: Prescription-strength power for extra stubborn concerns. 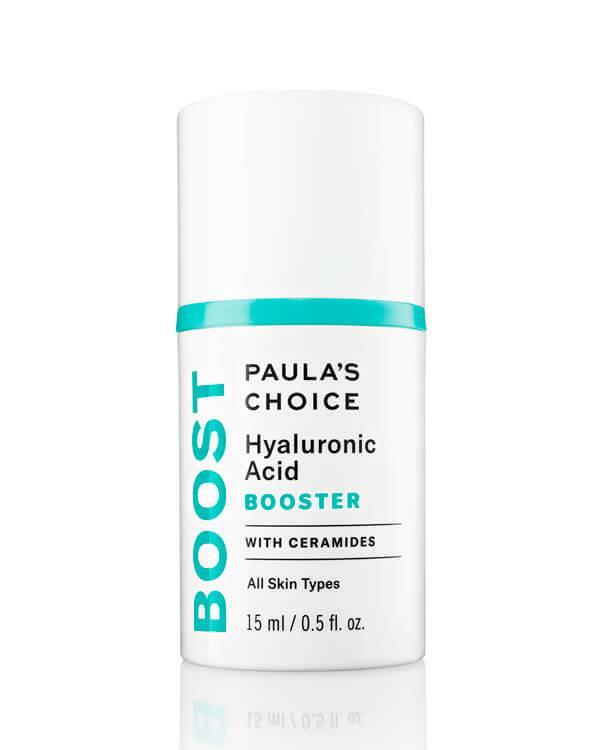 The Resist Hyaluronic Acid Booster from Paula's Choice contains the following ingredients: Aqua, Feax Extract (water-binding agent), Glycerin (skin-repairing ingredient), (skin-repairing/water-binding ingredient), Hyaluronic Acid (skin-repairing/water-binding ingredient), Ceramide NP (skin-repairing/water-binding ingredient), Ceramide AP (skin-repairing/water-binding ingredient), Ceramide EOP (skin-repairing/water-binding ingredient), Phytosphingosine (cell-communicating ingredient), Adenosine (cell-communicating ingredient), Cholesterol (skin-repairing ingredient), Panthenol (skin conditioning agent), Silanetriol (skin conditioning polymer), Butylene Glycol (slip agent). Sodium Lauroyl Lactylate (emulsifier), Carbomer (thickener), Xanthan Gum (thickener), Polysorbate 20 (emulsifier), Phenoxyethanol (preservative), Ethylhexylglycerin (skin conditioning agent). Een “staple product”. Ik ben al aan mijn zoveelste flesje.